Upset with the consistent and relentless pressure US drone strikes are putting on Islamic insurgents, they came up with a plan to show their sign of protest; kill the head of Lockheed Martin, Robert Stevens. A Pakistani-based branch of Al-Qaeda was hatching a plot to kill the head of US defense group Lockheed Martin, self-confessed terrorist David Coleman Headley testified in a US court Tuesday. 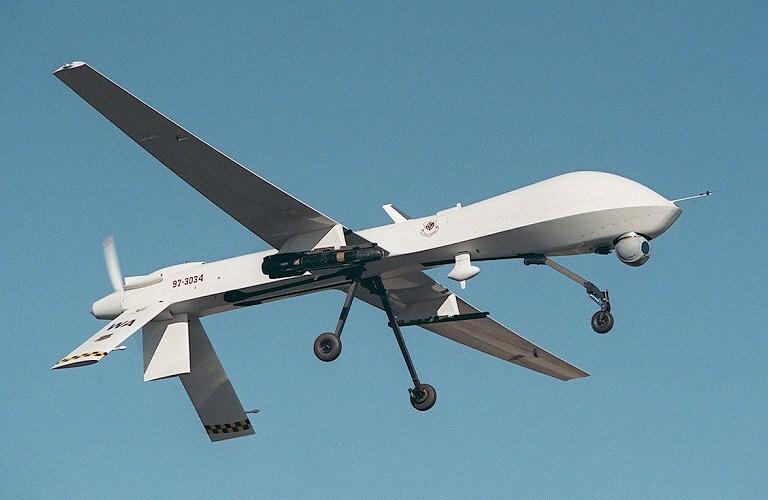 The planned assassination was in retaliation for the Lockheed Martin-made drones, Headley testified during the Chicago trial of his childhood friend, Tahawwur Hussain Rana. Headley pleaded guilty to 12 terrorism charges related to the deadly 2008 Mumbai attacks and other unrealized plots in the wake of his 2009 arrest in Chicago. He is testifying against alleged co-conspirator Rana in exchange for avoiding the death penalty and extradition to India, Pakistan or Denmark. Headley testified that he secretly used Rana’s office computer for research on the plot to assassinate the Lockheed Martin executive but dismissed his brief online search there as insignificant. “My research is more in-depth than Googling someone a couple of times,” he testified during cross-examination by Rana’s defense attorney. Headley said he was working on the plot with Ilyas Kashmiri, the commander of the Pakistani-based terrorist organization Harakat-ul-Jihad al-Islami (HUJI), and a senior member of Al-Qaeda. Headley pleaded guilty to working with Kashmiri on a plot to attack the Danish newspaper Jyllen Posten, which published controversial cartoons of the prophet Mohammed, after Lashkar-e-Taiba (LeT) got distracted with the Mumbai plot. A spokeswoman for Lockheed Martin declined to comment on whether the group had been informed of the alleged plot or taken any additional measures to protect Robert Stevens, who has been chief executive officer since 2004. More far-fetched than anything, but brings to the surface how effective the drone strikes are and how important a role they play in the fight against the Taliban and al-Qaeda. They are frustrated with them. to secure the drug trade. 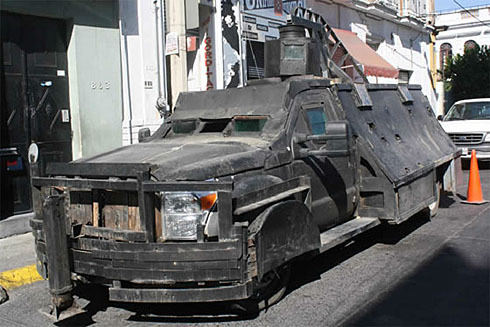 So far, the homemade tanks have only been used on rival drug gangs, but police must be prepared to take one on eventually. Police are also cracking down on inventory checks for their guns and weapons. It is to make sure corrupt officers are not selling assault rifles to the cartels. It’s only heating up down south. Walter Boyne feels that a added kit on to the Black Hawk should come to no surprise. The founder of Air and Space magazine believes everyone has misinterpreted what really was involved. Here is his view on the helicopter’s used in the bin Laden raid. 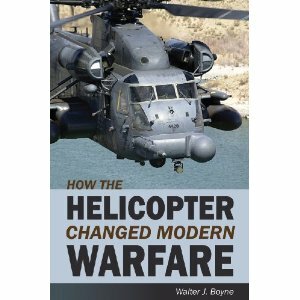 Walter Boyne happened to release a book called ” How the Helicopter Changed Modern Warfare” about the same time that Osama bin Laden was exposed rather harshly to the reality of the book’s title. If relations couldn’t be more strained with our “ally” in the war on terror and Al-Qaeda, more tales of deceit keep flowing steadily out. This time again, from a leaked cable discussing Pakistan’s teachings at high level military classes. Apparently top commanders are teaching the usual conspiracy theories we can’t escape from, always involving Israel as the typical red herring. The United States and Israel are trying to undermine Pakistan ect. “In contrast to criticism of the U.S., students and instructors were adamant in their approval of all things Chinese,” the cable said. No surprise there. I’ve been reading vitriolic rants by anonymous posters on discussion forums bashing the ISI and Pakistan for the past 4 years saying they were our enemy. The tower of evidence leans in their favor. “we have no indication it was examined by anyone else,” but acknowledged there was no way to be sure whether Pakistani or other analysts hadn’t at least inspected the battered tail section, special rotor or its other components. 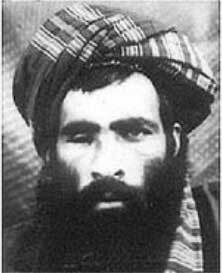 Afghan intelligence services believe the leader of the Taliban, Mullah Omar, is on the run and moved from his safe haven in Pakistan. He may fear his hideaway location has become compromised after the bin Laden raid. Since the May 2 killing of bin Laden, a number of insurgents have made approaches to the Afghan government, a senior security official told the Daily Telegraph. “They are bringing reports that the ISI now has divided thinking on Mullah Omar. Some want to protect him and some want to hand him over. He has been told to move house several times since the bin Laden raid,” he said. An Afghan power broker with links to the Taliban in southern Afghanistan, said the movement was “expecting some important losses”. “They fear that a few heads will be cut off. I heard that some even suggest finding a way to make a political offer.” “The ISI support is fading for them and sooner or later there will be an exchange in the political game,” the power broker said.